He was a Music consultant in the 1980's, 1990's to 2005 for CBS India and other Top Music Companies in Bombay, specifically hired to categorize all of India's Folk and Classical Music because of his expertise in the 'Music of India' and the 'languages of India'. 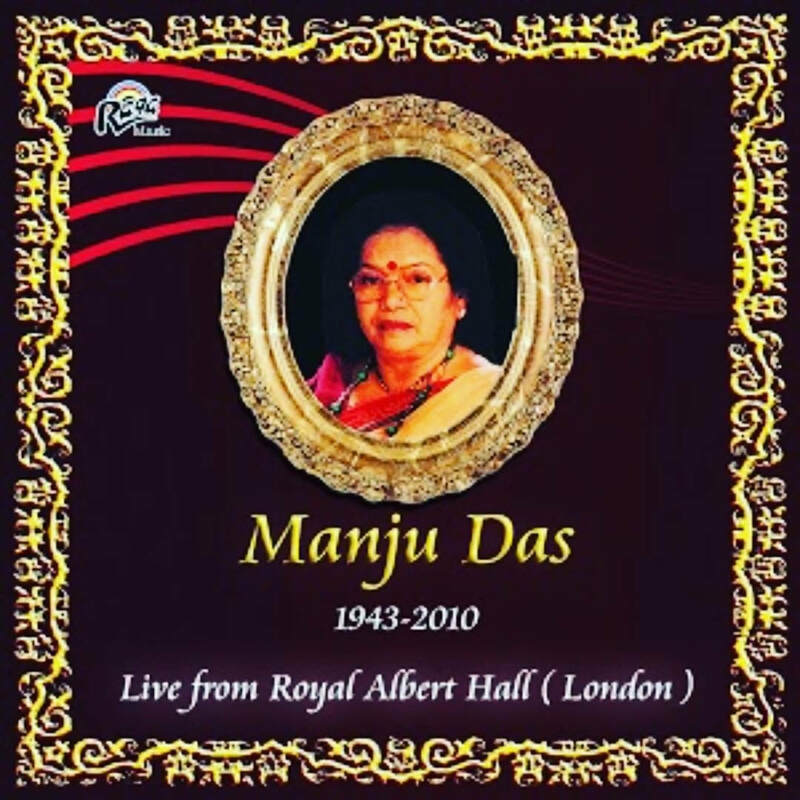 1978 – 1990 HMV- Composer, Writer of Music for famous India singers, Event Planner. 1986 -1993 Venus/Tips/Music India, Music Producer, and Composer, Event Planner. 1986-1993 CBS India - Music Producer, Creative Director India, promoter, of artist such as Cindy Lauper, Micheal Jackson, New Kids on the Block, Pink Floyd, Gypsy Kings and others, Event Planner..
1991 -2004 Digital Music Studio – Owned, and Operated by Babukishan – Composer, Music Production for Film, Event Planner..
1994-1996 Time Audio Video – ABCL Amitabh Bachchan Corporation Ltd - Quality Assurance Manager Film & Music Production/Marketing, and Event Management. Film, and Music Promotion, Event Planner. 1997-2004 Universal Music Label - Music Producer, Music Composer, Consultant, Event Planner. 1996-1999 PEN Audio Video Film - Music Producer, Promoter, Consultant, Event Planner. 1996-2001 T-series- Music Producer - Composer, Event Planner. 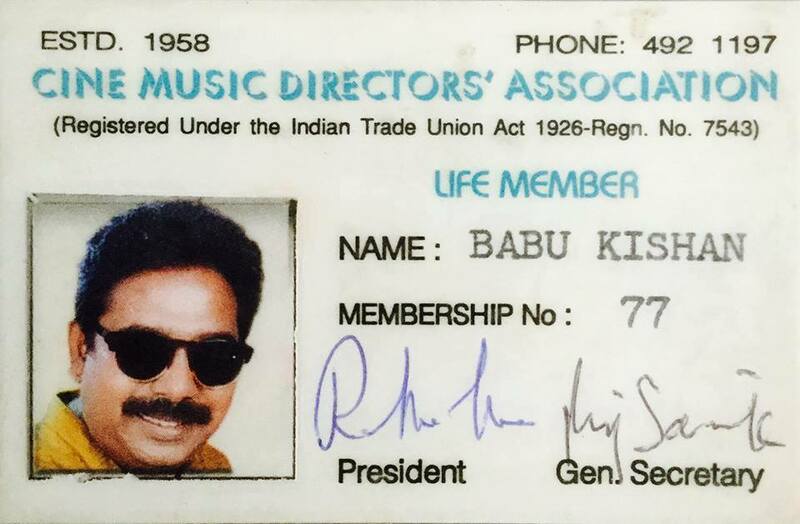 Babu Kishan was a Artist & Repertoire (A&R Manager) for film and music, a manager from concept to release. Quality controller, talent search, contract, budgets, over seeing the whole film and music, from start to finish, including the release, event management, promotion and sales of the film and music. 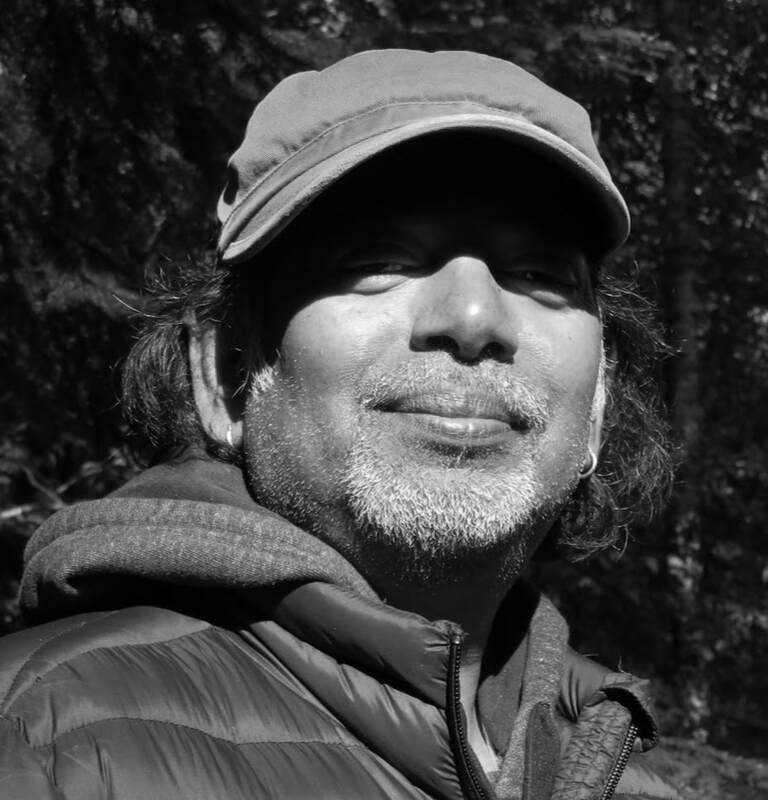 Babu Kishan is an expert Film project designer. Line producer, distribution, film, music, soap opera, TV Series, production marketing sales advertising promotion. for Indian Cinema (Bollywood) Film and Music release events. In Senior Management in Indian Cinema (Bollywood) Babu Kishan is first person who started to promote Playback singers and release their music in a big way, promoting them on billboards, posters and in the media. Babu Kishan is the creator and designer and organiser of huge Bollywood (event planner) before event planning was even a career in India. 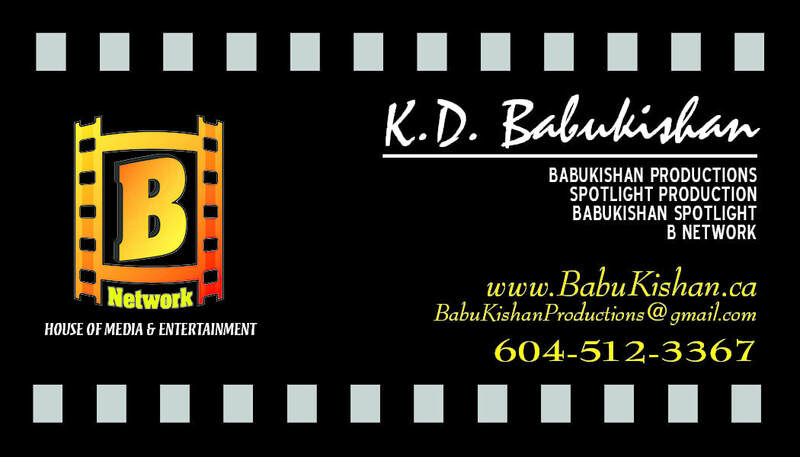 Babu Kishan organized all of the Bollywood Film and Music Release events for all the top Film and Music Companies. Organized, Managed and helped Create ‘The Hope 86’ Conference in association with the West Bengal Government and Indian Cinema Star Mithun Chakraborty. In 1986 it was India’s largest ever event of its kind with 300 celebrities all Politicians, Film industry, Music industry and others from all over India. All the top from all over India came to Calcutta W Bengal India for ‘The Hope 86’ event of the decade. Created Organized Managed a huge Festival in Bengal called the Gopal Nagar Mela (Festival), arranging officials, stage management, securing land, budgets, food, security, performers, tens of thousands of people attended my festivals in the 1980. 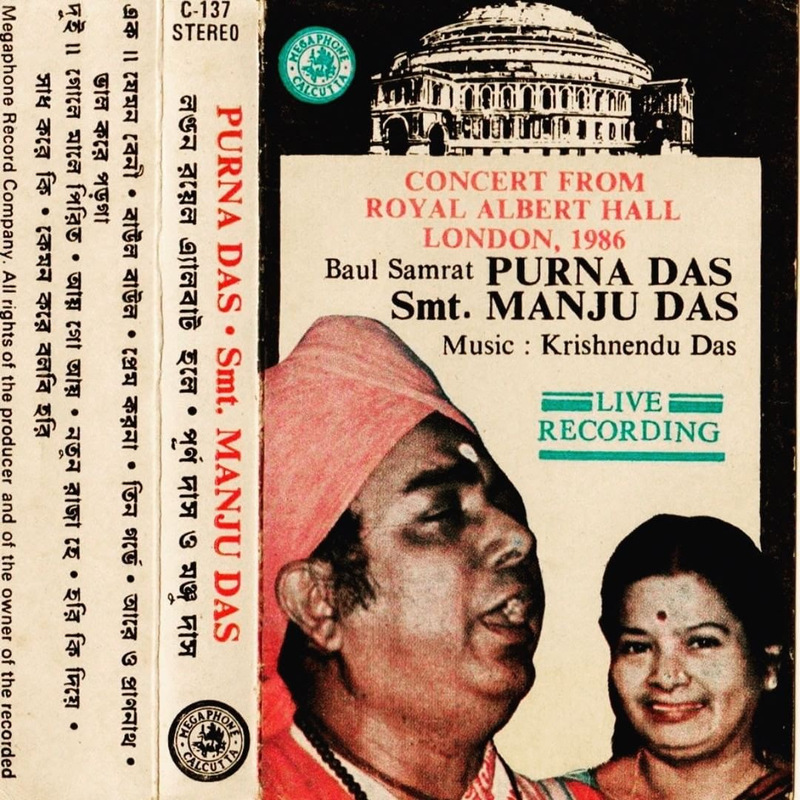 Organizing and Event Management is in my blood from an early age as I was the Tour, Event and Manager of my father Purna Das Baul. He is a Legendary Folk singer, the first highly awarded Indian Vocalist to come to America in 1967. In those day it was not easy to travel around the world and outside India, I organized all of his tours from the 1970’s for almost 2 decades. A Master Music Composer Producer from beginning to end sales and has been successful in the business of Film and Music for over 40 years. Babu Kishan's spiritual music is heard in all the temples of India he is the first person to record the Hanuman Chalisa singing by Hari Om Sharan, he has recorded and composed music for many from start to finish: Each album has been a super duper successful music, he usually plays one of the 15 instrument that he has Mastered on each album. KD Babukishan aka Krishnendu Das started his life in Indian Cinema at a young age in Calcutta West Bengal India, as a Music Composer and poet, lyricist, song writer for Bengali film, TV Series, and Drama's beginning in the 1970’s to 1990's. 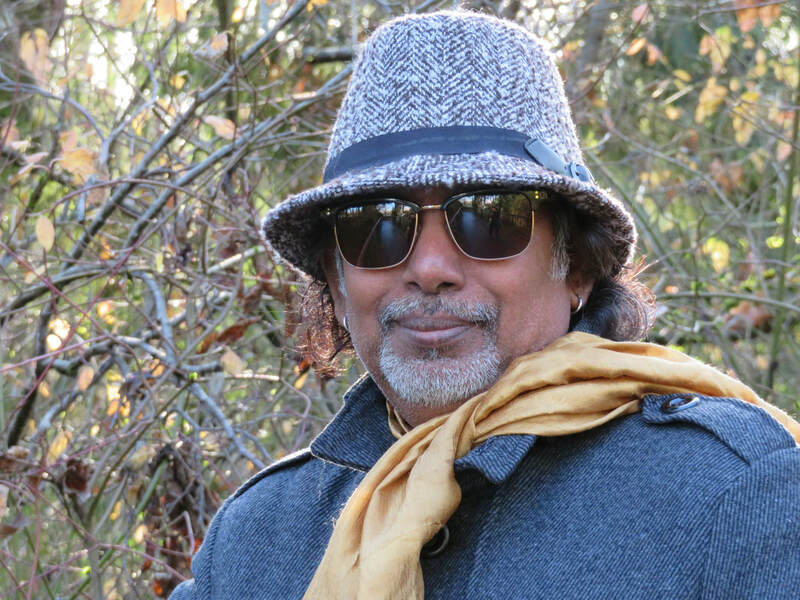 Babu Kishan started his career in Bombay as a Music Composer and as a music and Film Designer, Production Consultant working with India’s top Music Labels and for India’s top Film Companies for more than 35 years. Babukishan has worked with just about everybody in ​Indian Cinema as a Fim Promotion Designer, Production Designer, Music Designer, and Music Director,​ from Amir Khan to A R Rahman, from the production of music, promotion to the international market. Babukishan is probably the most famous person from Bollywood who is known behind the scenes within Indian Cinema​. As a Senior Management in Indian Cinema (Bollywood) he is the person who started to promote the Play back singer and he is the creator and designer of huge Bollywood (event planner) before event planning was a career of all Bollywood Film and Music Release parties for all the top Film and Music Companies. 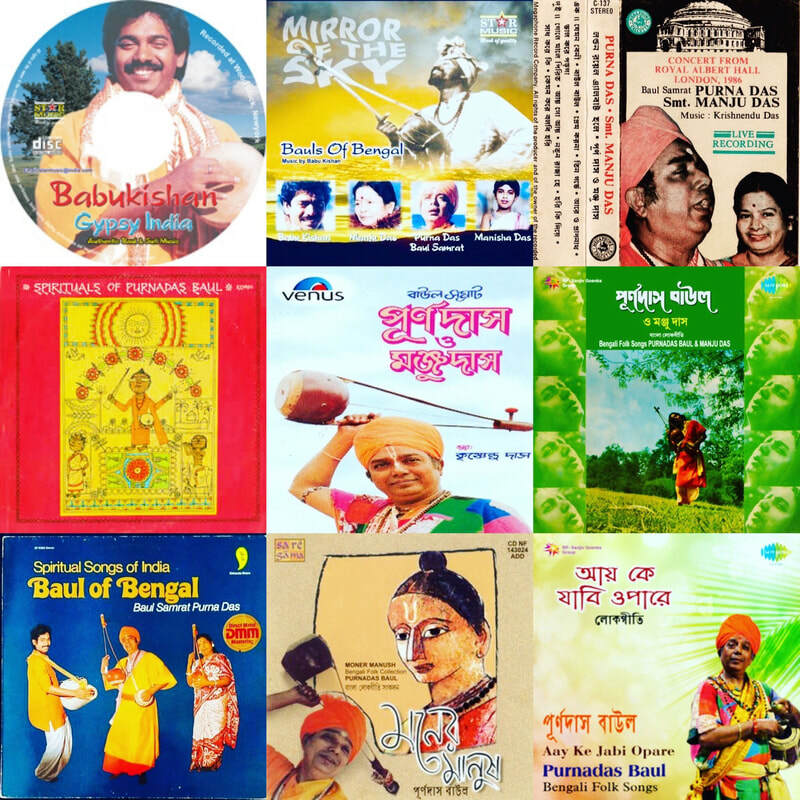 Babu Kishan has performed on the biggest stages of India - 100's of times for over 5 decades, as he and his family were the Cultural Representatives of the State of West Bengal India. They performed as singers who opened for Political leaders for generations starting with Nehru, Indira Gandhi, Sanjay Gandhi and then Rajiv Gandhi before they gave their speeches. Babu Kishan grew up in political circles of India and met all the political leaders of India. He is versed in a deep way in Indian politics. Babu Kishan is very close to the last President of India, Pranab Mukherjee as he is a family relative. Our Calcutta house was the Cultural Heritage and Political Hub of Calcutta, all top Indian musicians, singers, Indian Cinema Stars, Politicians, Poets, Writers, Spiritual leaders and intellectuals used to visit our house. He brings with him the depth of India and Indian Cultural Heritage from the soul and soil of India. There is almost no one with his depth of knowledge of Indian Music and Indian Cinema from an educational and experiential level. He is the first Baul in history to live in Canada. Babu Kishan would be an asset for any ​Political Cultural Delegation that travels to India, on behalf of Canada because he knows better than anybody who is who in India, from politics, India Cinema, Indian Music and Culture he has over 45 years experience in the inner circles of India and with Indian’s around the World. Award winning Indian Music Composer and Filmmaker for 50 years, starting at age ten! 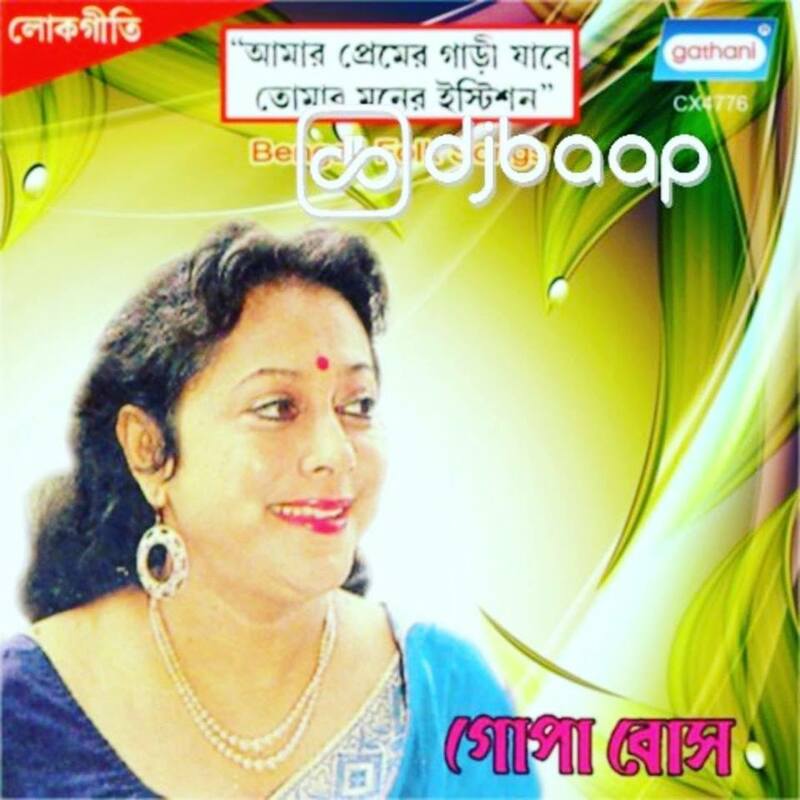 Awarded "The youngest Music and Film Director in Bengal"​ in the 197o’s. 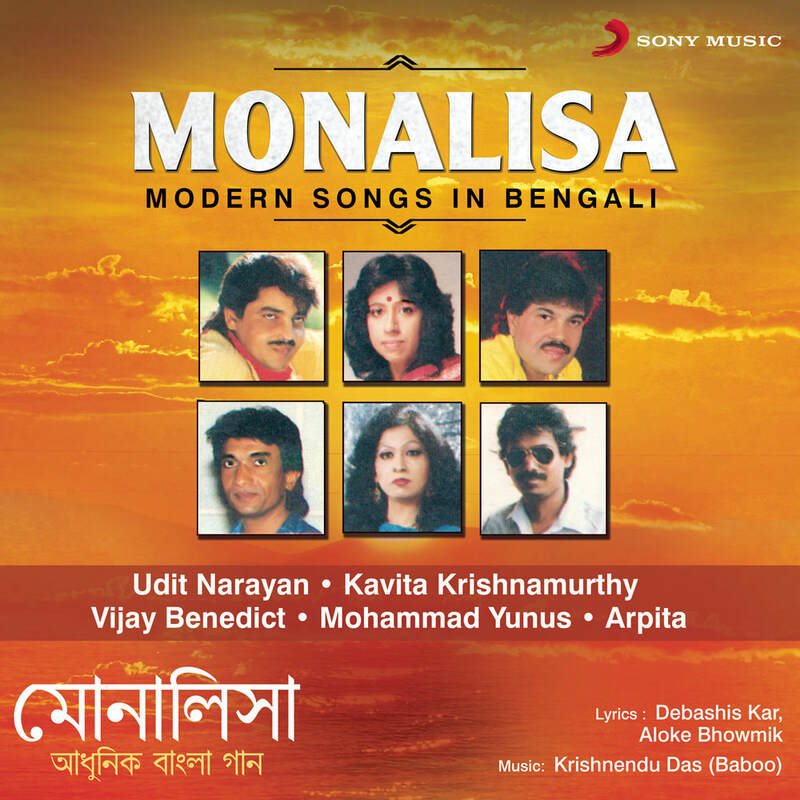 received many awards for his Music Compositions in Bengal under the name ‘​Krishnendu Das’even before he arrived in the Bombay Indian Cinema now known as Bollywood. Mumbai’s ‘Bollywood’ Indian Cinema in 2007. ​Babu Kishan has profitably and successful marketed and sold ​300​ Films and ​500​ Albums. Composed, Produced, Sold and Marketed at least 60 of his own albums. He is an expert at Creating Film from the start to the selling it successfully at a profit. He is a ‘​Master Music Composer Producer​’ from beginning to end sales and has been successful in the business of Film and Music for over 40 years. Babu Kishan sold Film Rights More than ​500​ Super Hit Albums & Film​s ​from ​1978 - 2008. Babu Kishan was a​ Artist & Repertoire (A&R Manager​) film and music manager from concept to release, quality, controller, talent search, contract, over seeing the whole film and music, promotion and sales of film and music.- for Music, Video and Film. 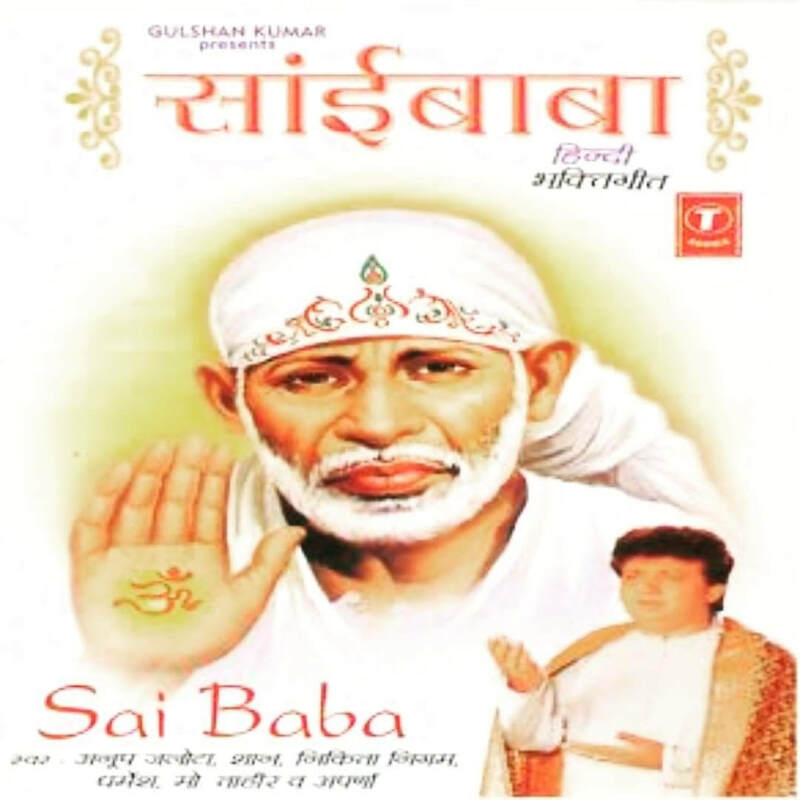 Babu Kishan's spiritual music is heard in all the temples of India he is the first person to record the Hanuman Chalisa singing by Hari Om Sharan​, he has recorded and composed music for many from start to finish: Each album has been a super duper successful music, he usually plays one of the 15 instrument that he has Mastered on each album. ● Some are listed on the list below because some recorded Bollywood Indian Cinema's albums with Babu Kishan too. The list above is just some of the one he recorded in spiritual music. 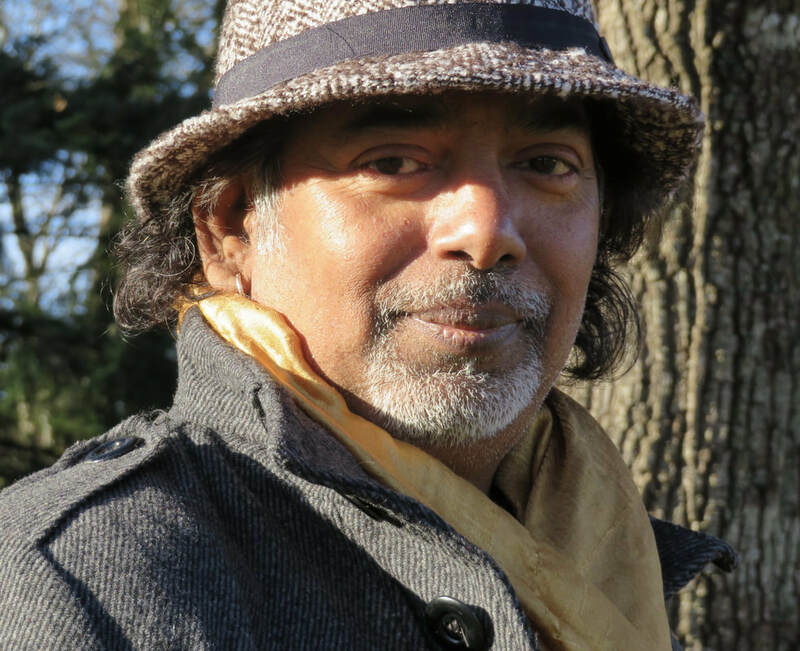 Babu Kishan has fundraised for many people including the​ ​'Tagore Societies' Worldwide - fundraising for them,'Ramakrishna Vedanta Societies' Worldwide,​ 40 years of Fundraising for many Communities, Temples and Societies, Seniors, Children and for the Bangladesh Floods, Hurricane Katrina and more. Festivals in Hyde Park with the Rolling Stones, Beatles, Bob Dylan. Babu Kishan has Performed a​round the world, on the biggest stages of India 100's of times for over 4 decades. In the 1980's he represented Calcutta University around India, regarding Indian Philosophy, Sanskrit and Baul an ancient Indian Philosophy and Yogic tradition. Babu Kishan performed 20 Concerts with Bob Dylan and the Band who were all great friends. East West Tour as a Musician and singing one song of poetry by Allen Ginsberg the famed American Beat poet. He did these tours around the USA with Bob Dylan and The Band 1985. He has composed and jammed with George Harrison, The Rolling Stones, Brian Wilson of the Beach Boys, Bob Dylan and The Band, Tom Petty and many others. He was awarded the ‘Youngest Indian Composer in 1971’ at the tender age of ten by the Bengal Government. He went on to receive some of India’s highest awards for his music. ● 1981 - Most promising Music Composer and Movie Design of the Year, Calcutta Entertainment Industry, Bombay Entertainment Industry. Babu Kishan has been personal friends and family friends composing music for and traveling with all the Legends of Indian Music and Indian Cinema, the Legends since the early 1970’s including ​Pandit Ravi Shankar, Ustad Ali Akbar Khan, Zakir Hussain, V G Jog, Sultan Khan, Pandit Mahapurush Mishra, HariPrasad Chaurasia, Nikhil Banerjee, Ravindra Jain, Naushad Ali, SD Burman, RD Burman, and many more. Lectures on Sanskrit, Indian Philosophy and Indian Music, Folk, Classical, Baul and Indian Cinema. Babu Kishan has lectured at Universities around the world. ​Babu Kishan has been International 'Paid' Guest Lecturer at Universities lecturing on Indian Music, Folk Music, Indian Philosophy and Authentic Living Lineage Baul a historical lineage within Bengal and India. Some of the Universities he has lectured in around the world as a paid lecturer. ​Produced over 150 scores for Indian Cinema and Bollywood film. RAVINDRA JAIN and SONIK OMI are legendary names in Indian Cinema and Indian Music Industry. Today everybody is listed as a Music Director, there are over 10,000 back then it was not so easy, one did not just pay a fee. You actually had to be a ​'Music Composer​' and you had to ​pass an exam​. You had to prove yourself to the biggest Music Directors in India and they had to refer you. Babu Kishan is from an ancient Lineage of ​Peace Makers a MultiCultural Lineage​ that always accepted all displaced and rejected peoples. 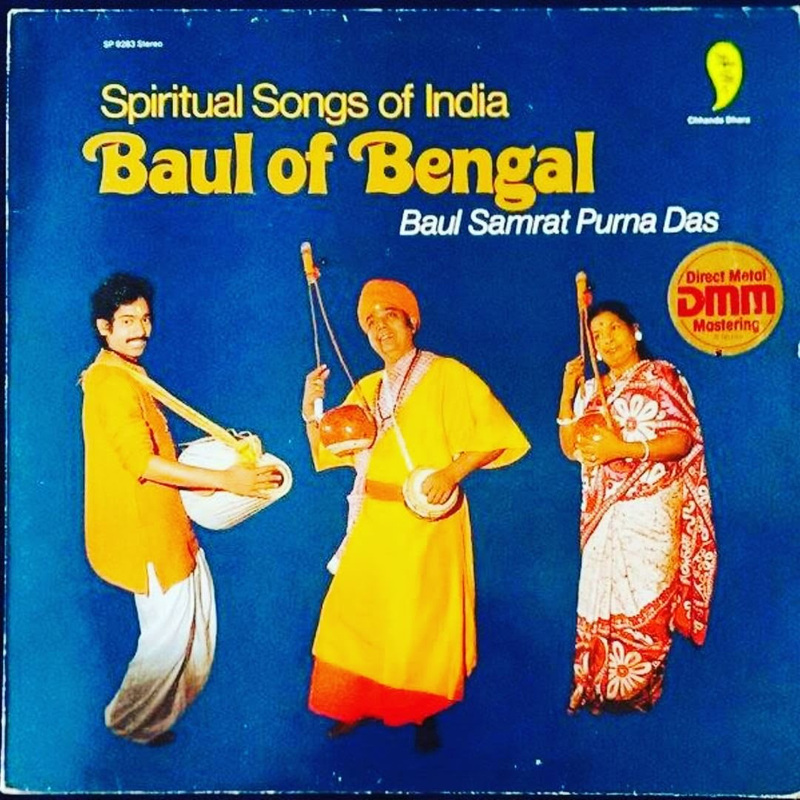 The Bauls of Bengal are an ​Oral Sanskrit ​tradition they sang to the villagers in ​vernacular Bengali​ teaching all the Vedas Yoga and Indian Philosophy through their songs for thousands of years in Bengal India. The ​Bauls of Birbhum Bengal​ accepting all Hindus, Muslims and Buddhists that flowed through Bengal over thousands of years, they do not believe in caste or creed, Baul is based on Humanity, you must perfect the humanity in yourself and towards others first. In ​2005 Unesco declared the Bauls A ​Masterpieces of the Oral and Intangible Heritage of Humanity worthwhile to be preserved as ancient history of Humanity here in Canadabecause I am the only Baul here in Canada but I represent a Masterpiece of well-known Legendary living lineage. Baul was first introduced to North America in 1967, you can see my father Purna Das Baul and my uncle Lakshman Das Baul on the Legendary ​Bob Dylan’s album John Wesley Harding​. ● 175 Shows (episodes) Produced by Babu Kishan. ● Profiling all cultures, all Political Parties, all types of careers and business peoples. 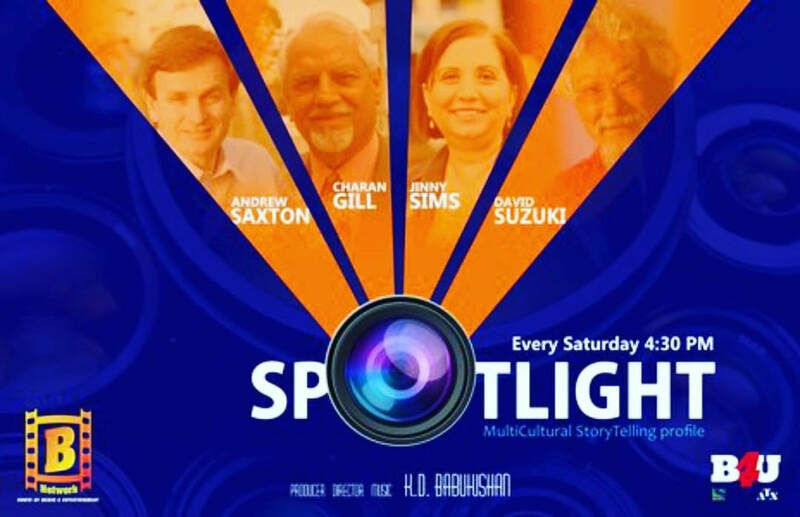 Babu Kishan has single handedly produced a ​Multicultural Diversity Storytelling Profile called Babu Kishan Spotlight​ which is popular in the South Asian community, he does profile other communities too, a weekly show on Shaw Multicultural TV and Delta Cable. 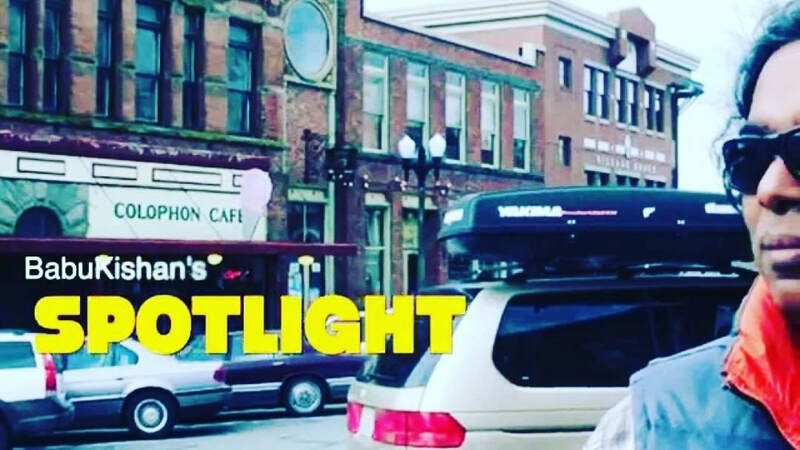 The purpose of this Spotlight is to inspire others, it gives stories of how others arrived in Canada and survived, how they made a different. 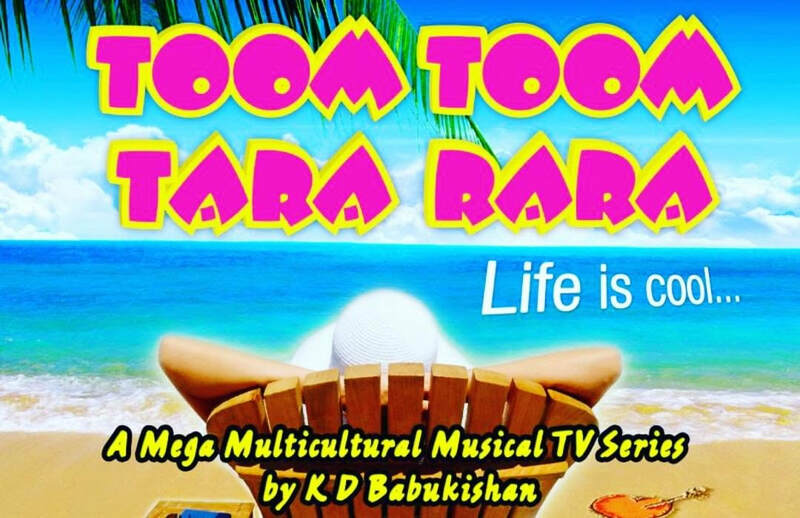 This program is filmed, edited, including music by Babu Kishan, he sells advertising and really needs some help to expand and to be able to take his popular show to a higher level. Babu Kishan has Produced 175 shows on a shoestring budget. One man show, Production, Editing, Camera, Music, Arranging the Storytelling Profiles, Promotion, Advertising Sales, Sales & Marketing. He wants expand and attract a wider audience across Canada on other South Asian TV stations profiling MultiCultural Spotlight on Diversity stories. On Delta Cable and Shaw MultiCultural Channels. ● People, Spirituality, Culture, Economic, Political, Artistic Entertainment. ● Stories in the Voice of the Storyteller. A MultiCultural, InterCultural, TV Series Spotlighting the Unique Lives of Canadians. Inspirational, Innovation, stories that educate creating integration, Intercultural, Multi Cultural understanding and a sense of belonging to and National Pride in Canada. Stories that preserve the voices of what it means to be Canadian. Storytelling has been shared in every culture as a means of Entertainment, Education, and Preserving Cultural Memory. TV programs presented on Shaw Multicultural - profiling mostly South Asian and MultiCultural. Their food, their fashion, Culture and History. Modern and Traditional food and fashion. 3. 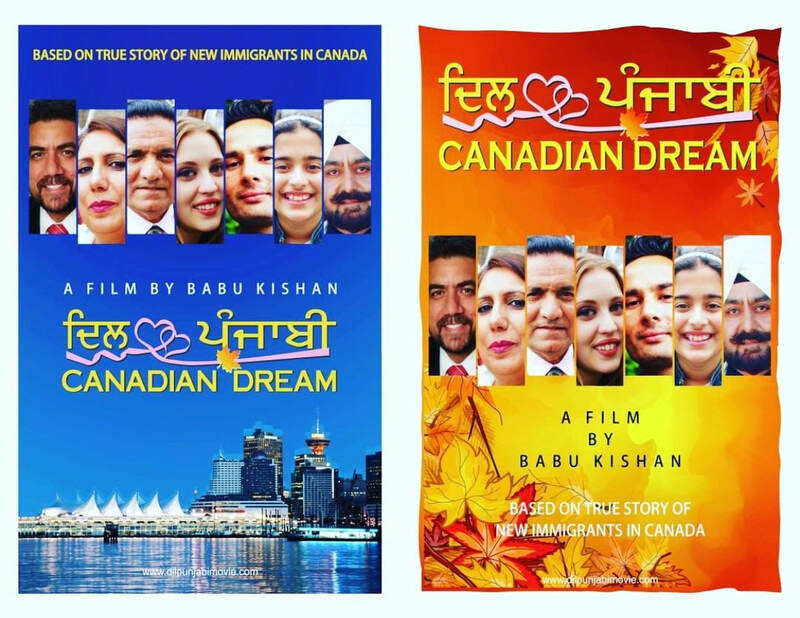 Babu Kishan has produced and directed a short film called, called Dil Punjabi (Canadian Dream)​. South Asian Canadian South Asian Mystical & Modern Concept - Comedy - 2 pilot series completed. 5. 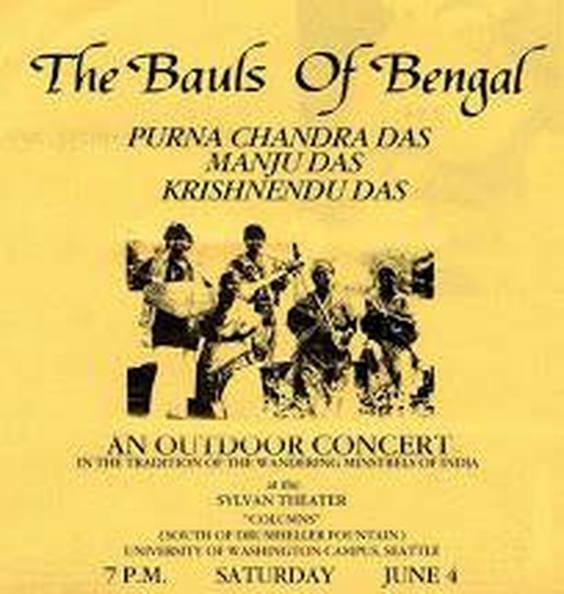 Performed in the Montreal POP festival, in various Bengali Community events in Edmonton, Calgary and Vancouver. 6. Volunteer @ Pics, Gurudwara, Church, Hindu Temple, Foodbank. 7. Babu Kishan has released 32 albums of his music in 2018 on Google Music, another 20 albums to be released. The above Music Record Companies own 28 or more albums of Babu Kishan’s Music. Film Maker Producer Marketing Production from beginning to end. Iconic Legendary Pioneer of Baul he opened the door for all Bauls to follow this lineage. RAVINDRA JAIN AND SONIK OMI are legendary names in Indian Cinema and Indian Music Industry. there are over 10,000 back then it was not so easy, one did not just pay a fee. Author of 3 books, and thousands of Lyrics and Poetry and will have his B for Books on his update. He has fundraised for many people including the 'Tagore Societies' Worldwide - fundraising for them,'Ramakrishna Vedanta Societies' Worldwide. 45 years of Fundraising for many Communities, Temples and Societies, Seniors, Children and for the Bangladesh Floods, Hurricane Katrina and more. Fusion Music with famed Western Musicians. 150 Film Music Scores, 60 Albums released, 500 of others albums released successfully,Multi Instrumentalist mastering at least 15 instruments. 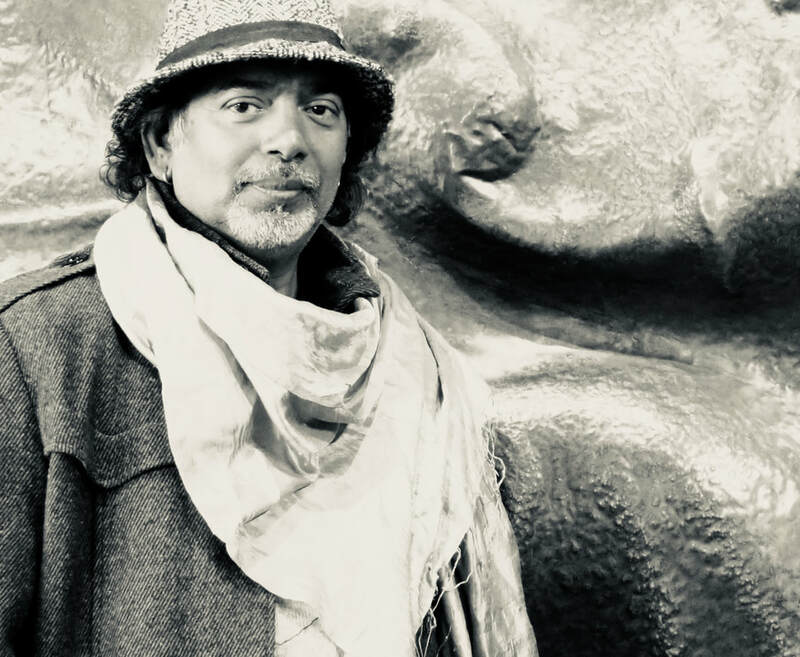 Babu Kishan has performed at 100's of International Folk Festivals since the 1970's including Festivals in Hyde Park with the Rolling Stones, Beatles, Bob Dylan. ​ Around the world, on the biggest stages of India 100's of times for over 4 decades. He has beenInternational 'Paid' Guest Lecturer at Universities lecturing on Indian Music, Folk Music, Indian Philosophy and Authentic Living Lineage Baul a historical lineage within Bengal and India. ​RELEASED 300 MOVIES ALL TOP LABELS AND FILM LABELS IN INDIA. Babu Kishan already a born Oral Sanskritist and Classical trained from 1-12 and to the Masters Level at Calcutta University he also, spent countless years learning from the extraordinary brilliant Dr. Roma (Rama) Chaudhary she was the first India Women to obtain a PHD from Oxford University, she was like a mother to Babu Kishan, he spent many years by her side learning hearing her stories of the deeper meaning so Sanskrit. Dr. Roma Chaudhary was a legendary world renowned Bengali Sanskrit scholar who dedicated her whole life to Sanskrit. She was a pioneer of Modern Sanskrit Drama in India, author of a large number of original Research Publications on Philosophy and Sanskrit and writer of more than 20 Sanskrit plays. She was the Principal and head of Philosophy at Lady Brabourne College for 30 years, she was Vice-Chancellor of Rabindra Bharati University in Calcutta and the Founder Secretary of Prachyavani and Institute of Oriental Learning. 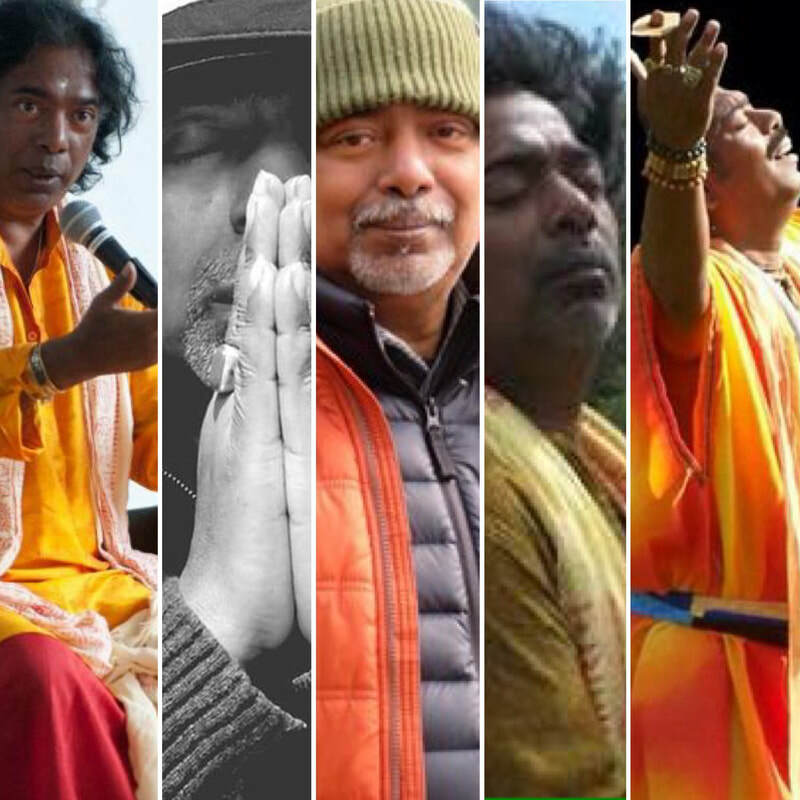 KD Babukishan aka Krishnendu Das started his life in Indian Cinema at a young age in Calcutta West Bengal India as a Music Composer and Song Writer for Bengali film, TV Serials, and Drama's beginning in the 1970’s to 1990's. 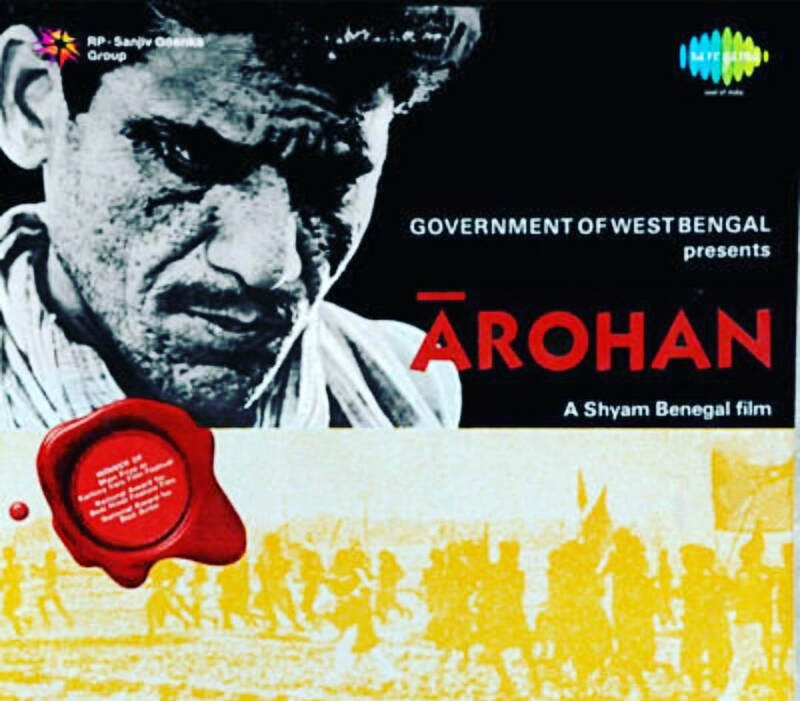 An Award winning Music Composer and Film maker, early in his life he was awarded, "The youngest Music and Film Director in Bengal" at that time. Babukishan recieved many awards for his Music Compositions in Bengal under the name Krishnendu Das even before he arrived in the Bombay. ​His name in Bombay Cineama became known as Babukishan. In 1981 he started to travel back and forth from Calcutta to Bombay until in 1989 he moved to Bombay permanently. 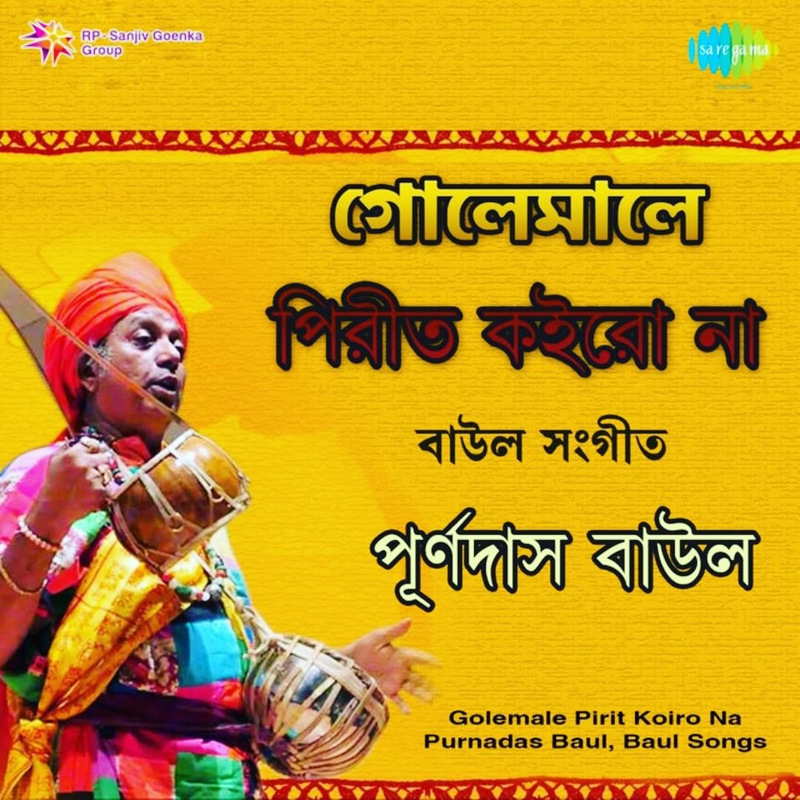 Babukishan composed all of his father's music, the legendary world renowned vocalist Purna Das Baul, who is a state artist and representative of Indian and Bengali culture around the world. and drama’s such as Amlo Madhu as producer and music director. Sri Chaitanya Mahaprabhu as producer, project design, music and promotion. Guldasta, all which were very popular and which he was Awarded Best Music Director. Babu Kishan’s started his career in Bombay as a Music Composer and as a music and Film Designer, Production Consultant working with India’s top Music Labels & Film Companies for more than 35 years. Amit Kumar and many others. Babukishan’s career took him beyond Bombay to the World. 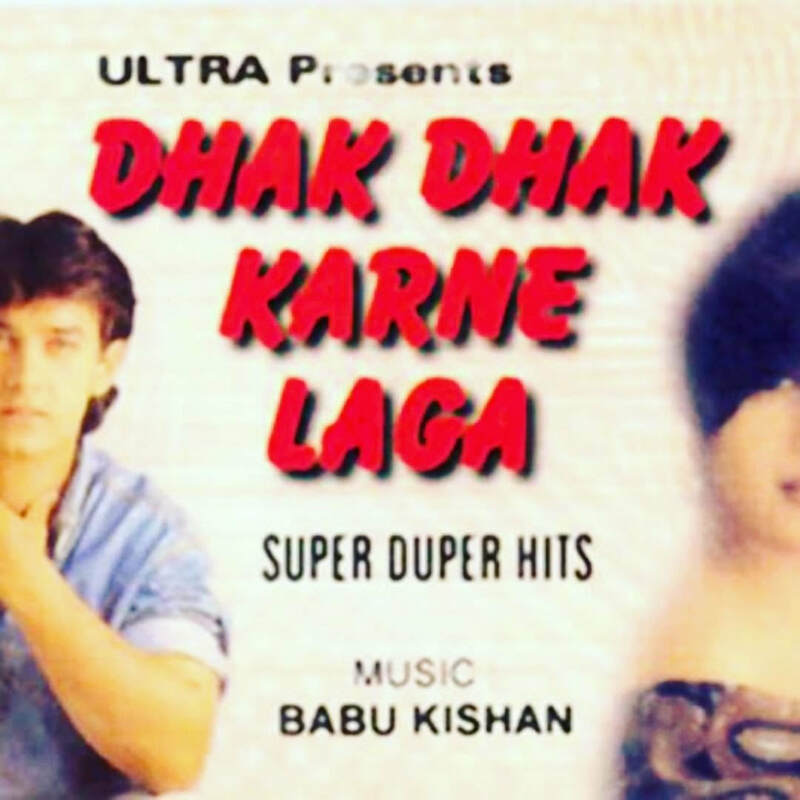 While in Bombay he became known as Babu Kishan his nick name, as the 2 directors named Suraj Sanim and Mahesh Bhatt had a difficult time pronouncing his name Krishnendu, therefore, they started to call him Babu Kishan all the time and thus it stuck and became his brand name in the Entertainment World. 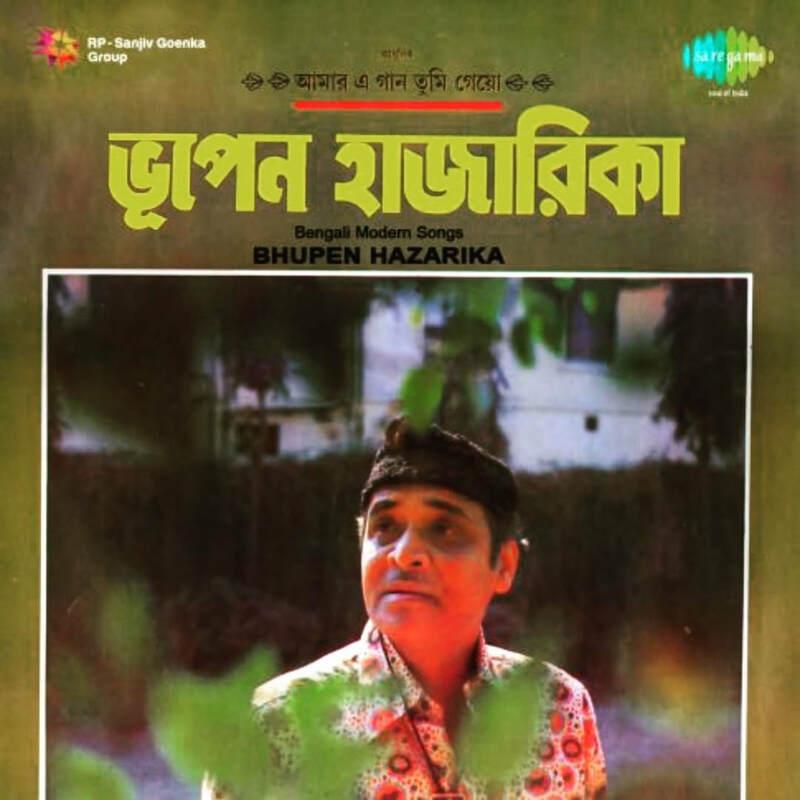 Babu Kishan recorded Durga Puja albums with all the top Bollywood playback singers having them sing in Bengali, this was a very new idea at the time and a super hit. However, at first there were many Bengali’s who were very critical because many super talented Bengali singers did not have work as singers and Babu was bringing in outsiders. 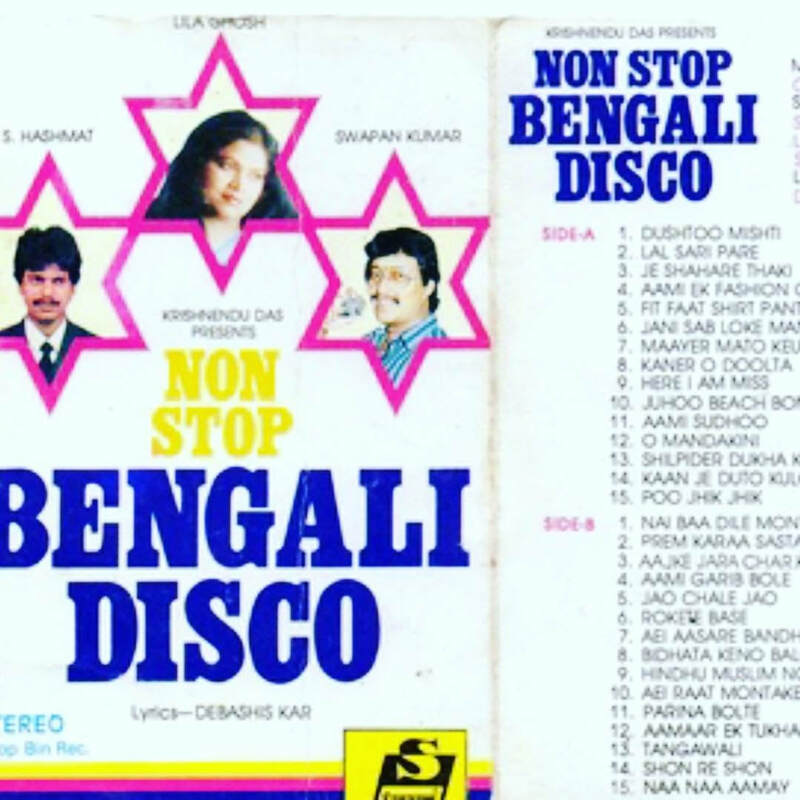 Some of these Indian Cinema singers he recorded in Bengali were Anaradha Paudwal, Md Aziz, Udit Narayan, Kavita Krishnamurthy, Sadhana Sargam, Alka Yagnik Purnima, Vijay Bendict, Abhijit, Kumar Sanu, for Durga Puja songs HMV/Venus/Tips MusicaIndia/Universal with big promotions. It should be noted that Indian Cinema started from Bengal and now 70% of the people in the modern Indian film industry are from Bengal. 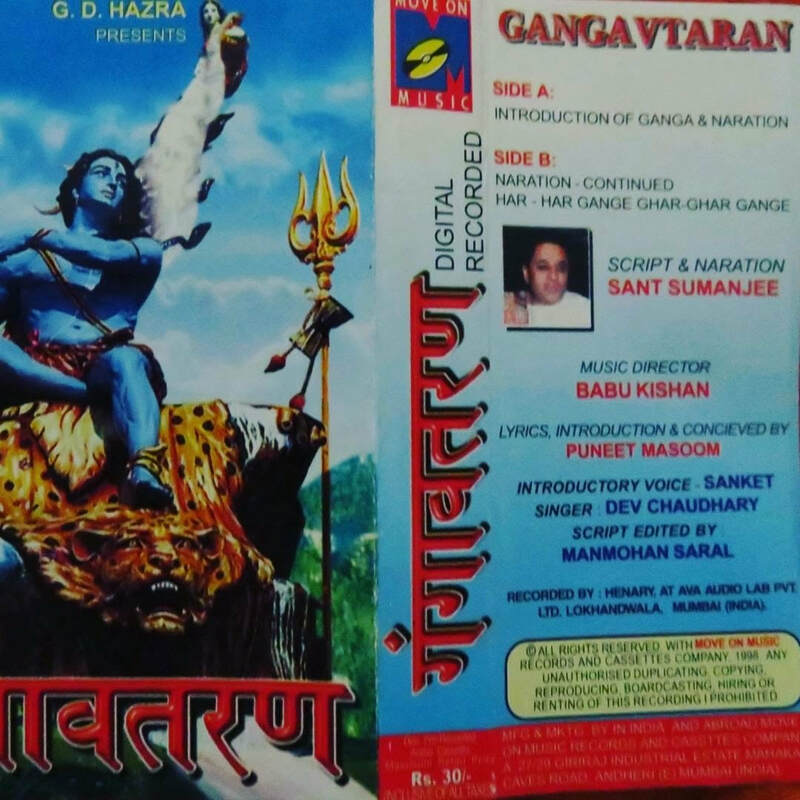 Babukishan being one of them who has composed everything from the first ever recorded Hanuman Chalisa in India to Hip Hop. BabuKishan already knew RD Burman from Bengal, his family was like family to Babu and when he arrived in Mumbai he started working as R D Burman’s assistant, learning Indian Cinema Music from one of the all time greats in Indian film music. Babu spent about 13 years with Legendary Music Director RD Burman during some of RD Burmans most difficult times, until his death in 1994. At first Bombay was a foreign place to Babukishan, he spoke Bengali and needed to learn Hindi, he was just a kid and had been living in hotels. When RD Burman found out that Babu has been living in a hotel which was expensive he arranged for Babu to meet the upcoming singer Abhijit from Kanpur, State of UP but Bengali, he thought Babu and Abhijit could help each other out by becoming house mates. RD Burman also suggested that Babu start working in the music industry while he was getting his Music Composer career off the ground. ​Burman introduced Babu to his first contacts, at R.K Electronics. Burman thought Babu was dynamic and energetic he knew that Babu would be perfect for the job. Babu is so greatful to R D Burman. 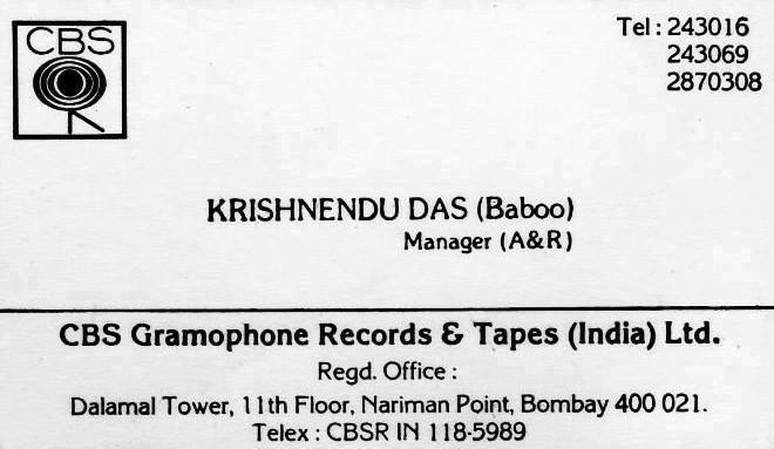 R.K Electronics needed someone to promote their company and Babu already having fame as a Music Composer in Bengal was the guy to do this and Babu Kishan knew all distribution contacts from the Eastern Zone. He introduced R.K Electronics to the Eastern Zone and the combination today is know as TIPS Industry, one of largest Entertainment Companies in India. Babu Kishan was a Artist & Repertoire (A&R Manager) film and music manager from concept to release, quality, controller, talent search, contract, over seeing the whole film and music, promotion and sales of film and music. 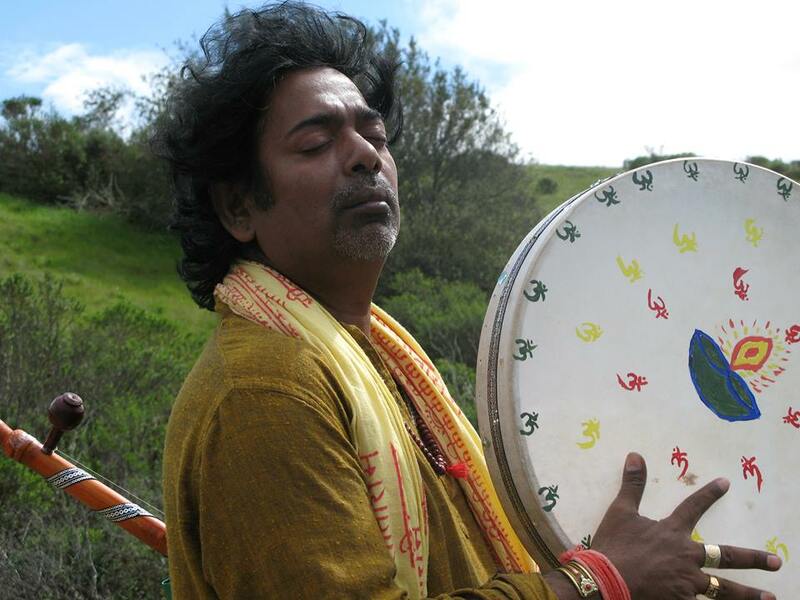 Born in the village of Suri in Birbhum W Bengal India, started Baul Tantric Sadhaka and Music at Birth. Initiated and learned oral Sanskrit tradition of Storytelling and poetic Baul song and dance. Born Krishnendu Das Baul was born into the lap of his Grandfather Great Baul Saint, Nabani Das Khyepa Baul and Brajabala Dasi. 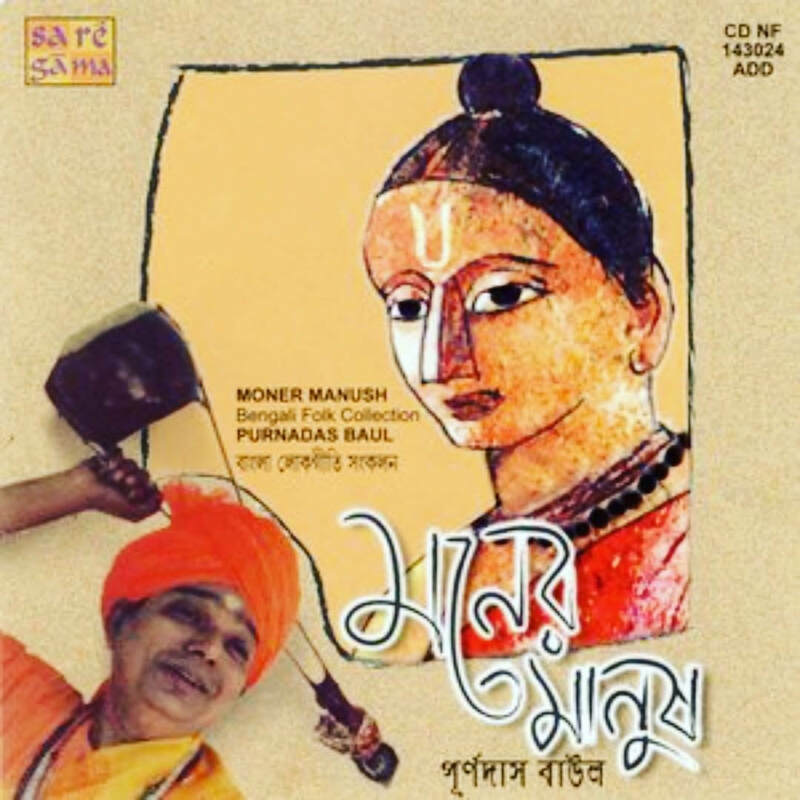 His birth father Purna Das Baul and birth Mother Manju Dasi left Babu at birth to be raised by his Grandparents Brajabala Dasi and then after Nabani passed in 1969 Babu known then as Krishnendu Das went to live with Purna Das Baul and Manju Dasi his birth Ma and Baba. When he arrived in Calcutta his Ma and Bob put him in an orphanage at first and then the Ramakrishna Mission hostel in Narendrapur. His mother and father finally got their eldest son back and left him again. It was a very deep emotionally time for little Krishnendu who has just lost his Grandfather Guru of such deep love and then to be reunited with his birth family only to be sent to what Babu Kishan felt was a jail but he adjusted and he excelled. After some time he would see them on holidays and even traveled with his father to London in 1971 when he did the concert fundraiser for, The Rolling Stones and The Beatles and Babu became life long friends at a very young age. This was a very difficult time of his life but he adapted and spent the next 12 years at the Ramakrishna Mission (many stories to be told). It was after 12 years when he was to become a Swami (Sanayasin) that his father pulled him out of the Ramakrishna Mission. 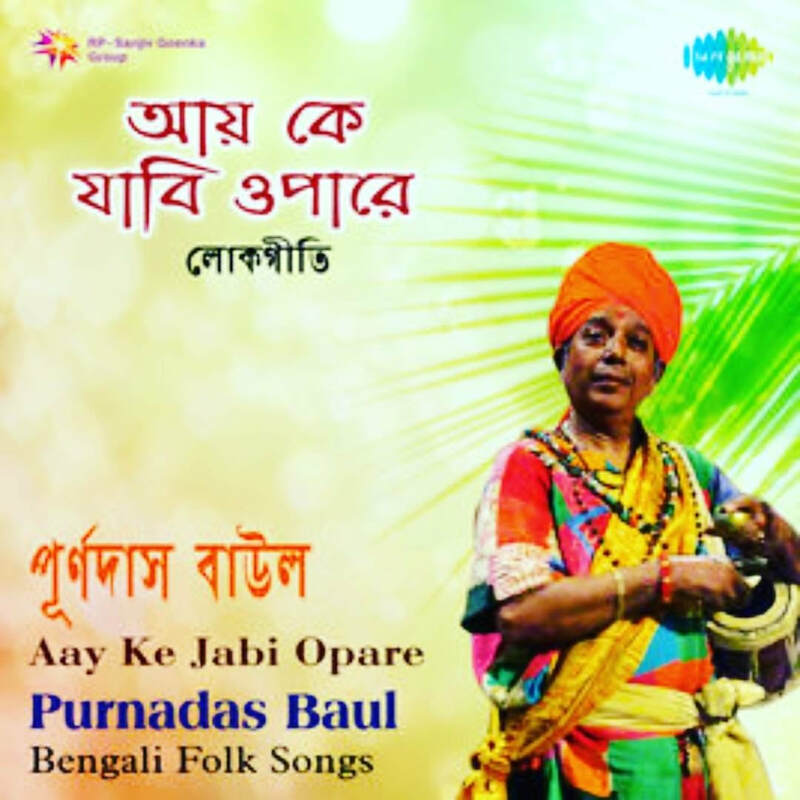 Babu became Purna Das Baul's Manager and he composed all of Purna Das Bauls music and made all travel arrangements around the world, he did a great job and this was Purna Das Baul's most successful years as a Famous Folk Singer of Bengal. Fluent in Bengali, Hindi, English and many other Indian Languages which he has written in and composed music for. Anjan Dutta / ShreelaMajumder stars. Join our newsletter, know more. 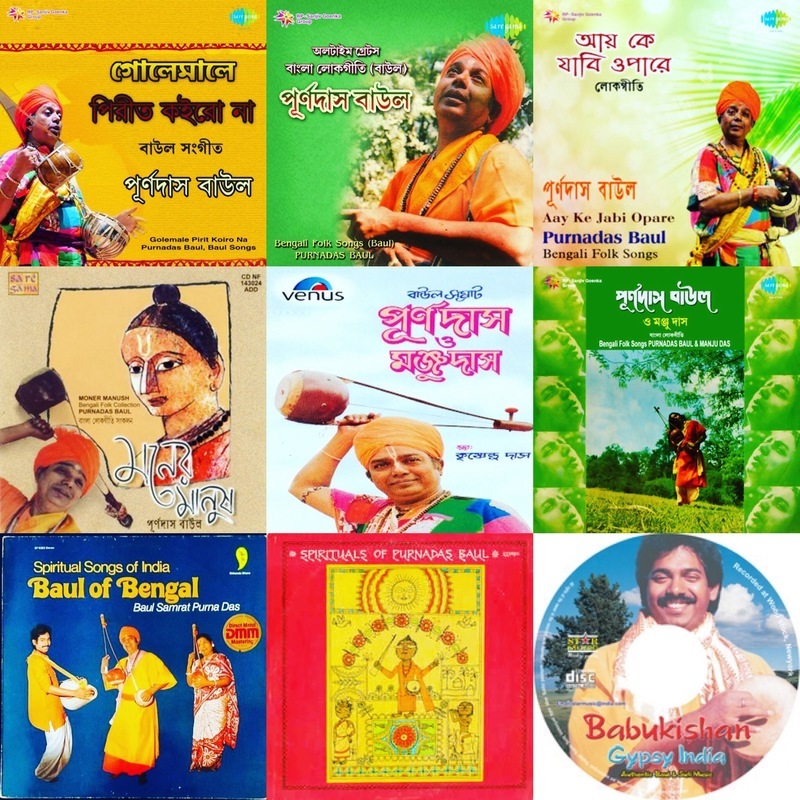 All of the below Albums are albums and Music that Babu Kishan Produced, Promoted and Composed for his birth 'Father Purna Das Baul' and his mother 'Manju Dasi'. He produced the music, arranged the music, used some are his own lyrics and he promoted these albums for them. There has never been any gratitude for all of these albums. Back in the day Babu Kishan aka Krishnendu Das went store to store in Calcutta and worked tirelessly to help his father and never took any credit or money, he wrote lyrics for his Baba, he would give his name as credit on movies as the Music Composer/Director when his Dad actually did not compose the music but Babu being the ever dutiful son he would do anything to please his Baba and Ma. He wrote all letters, made all the contacts, did all the arrangements for oversea's, paid out of his pocket, when Krishnendu was with his father it was the most successful time of his life. He paved the road for his father, he did everything for them. 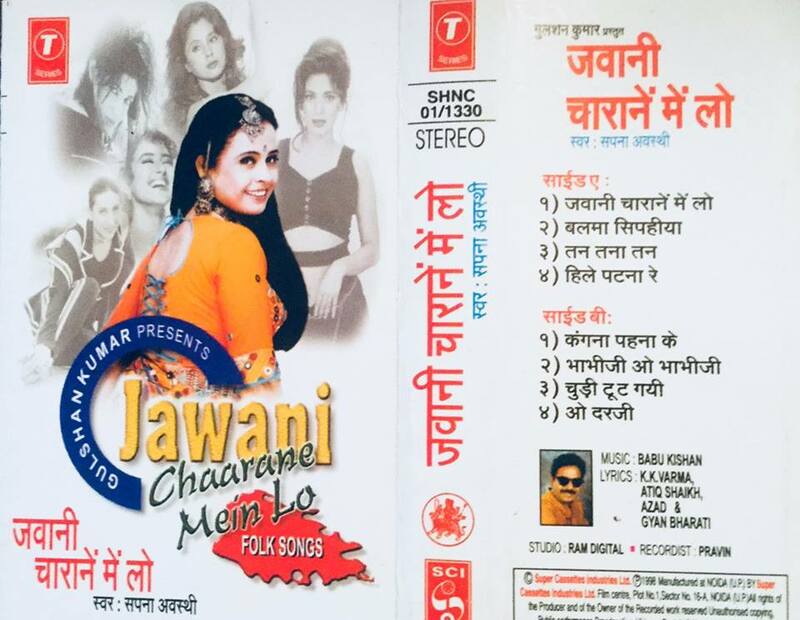 He promoted these albums and other albums on TV and Radio arranging all for his parents for decades without taking any money, or credit, he never received a rupee but gave them money all the time. He did not take he only gave everything including money all the time. 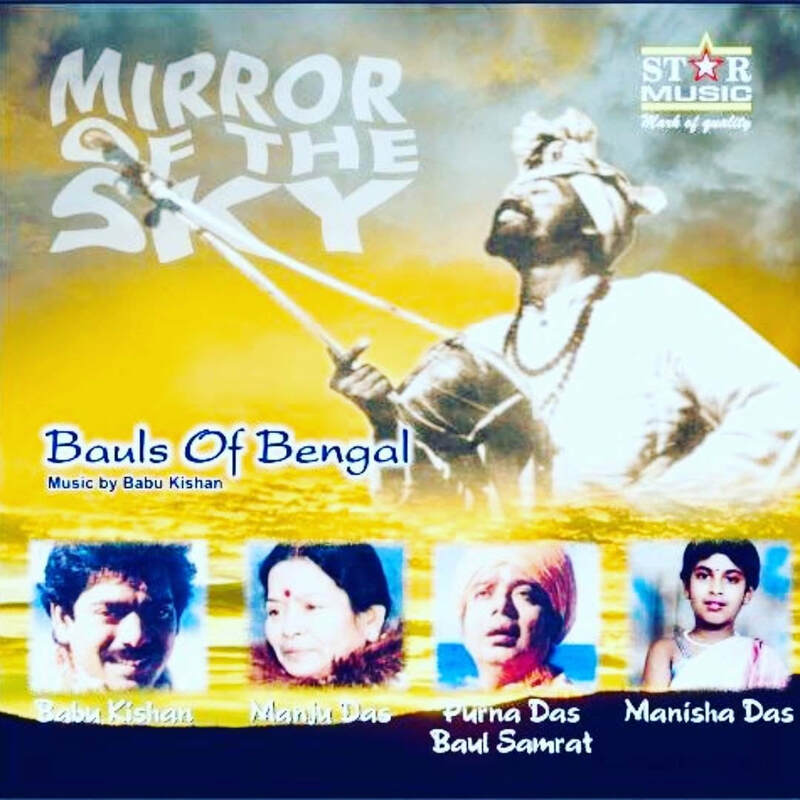 Another Album 'as above all and below"
All Albums Successful - all for his Calcutta family who reaped all the benefits of all Babu Kishan's music, time, energy and talent. Even though he did this and and even though he still gave money and supported his Calcutta family. 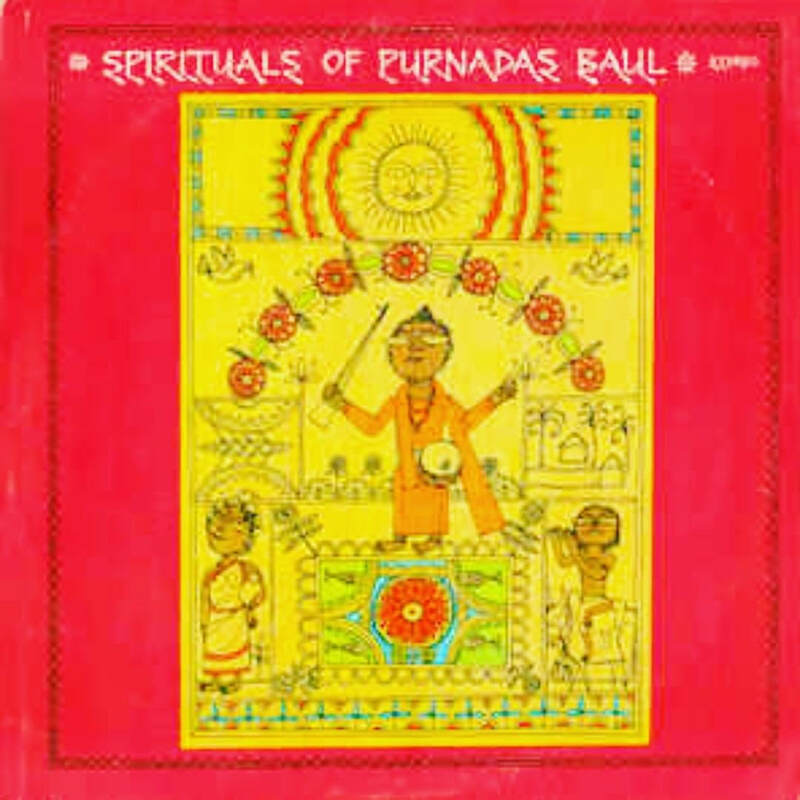 ​Babu never received a rupee or a royalty from any of these albums, these are the first and last Baul classic albums. 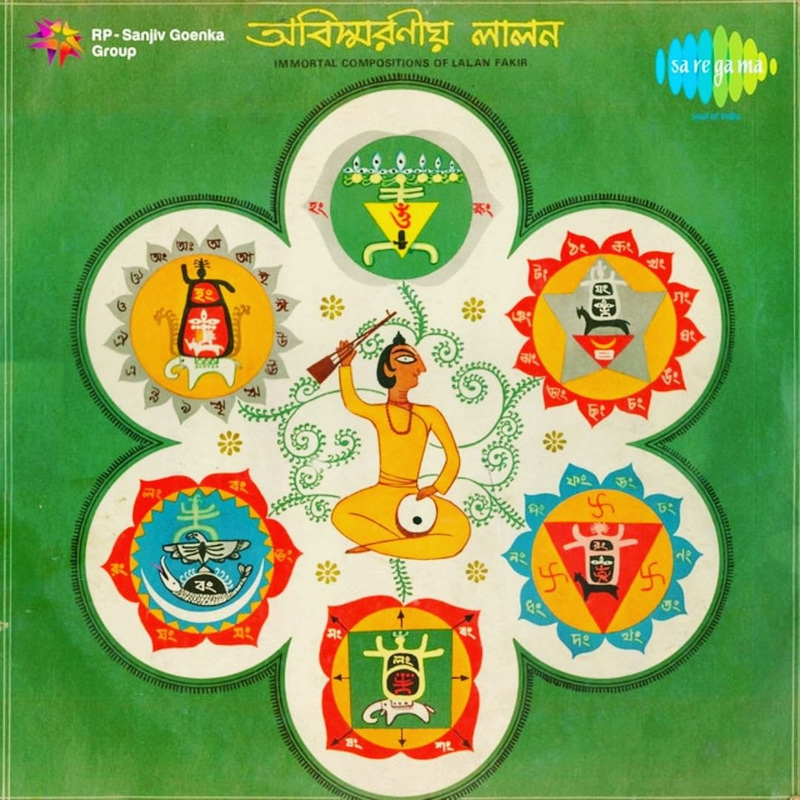 Albums Babu Kishan's as Krishnendu Das Produced, Composed Music, Arranged and Marketed.